WHERE IS MY UIN NUMBER? The Unit Identification Number (UIN) Tag is located below the driver window on the left side of our Class A motor coaches. 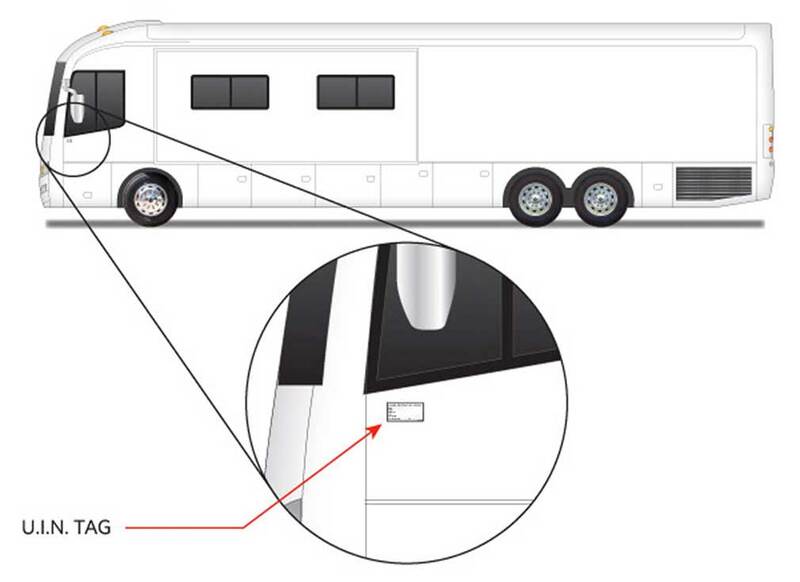 For Class C motorhomes, the UIN Tag is located just behind the driver’s door. Your UIN is the 12-digit code (example 782KZ4412345) and could also be listed as an FIN or serial number. Other information found on the UIN tag includes year and month of manufacture. Please note that this is not the Model Year of your motorhome.